Cisco is a worldwide leader in the telecommunication industry whose routers, switches are very welcome among the users. To work well with those Cisco networking applications, Cisco SFP transceivers are the best choice. GLC-SX-MM, GLC-SX-MMD, GLC-SX-MM-RGD and SFP-GE-S are different types of Cisco 1000BASE SFP transceiver module. All these transceiver modules comply with IEEE 802.3z 1000BASE standard. And since there are similar specifications for these four transceiver modules, users may be confused when they need to choose one SFP module for their Cisco switches. Here we’ll make a comparison of GLC-SX-MM, GLC-SX-MMD, GLC-SX-MM-RGD and SFP-GE-S transceiver modules to help you choose the suitable one. Which transceiver module will you choose? Here are the datasheets of these four different Cisco SFP transceiver modules. The GLC-SX-MM is programmed to be fully compatible and functional with all intended Cisco 1GB switching devices. This transceiver module operates on ordinary multimode fibre optic link spans of up to 550 meters in length. The GLC-SX-MMD 1000BASE transceiver module is made for multimode fibre only. It’s the replacement of GLC-SX-MM which features an enhanced DOM interface. And this SFP fibre transceiver module operates on legacy 50 µm multimode fibre links up to 550 meters. The GLC-SX-MM-RGD transceiver module is designed for Industrial Ethernet applications, including factory automation, intelligent transportation system and other deployments in hash environment. Compared with the ordinary transceivers which can endure the temperature ranging from 0 to 70°C，CLC-SX-MM-RGD can survive in the temperature from -40 to 85°C. It can support up to 550 meters of cabling. The Cisco SFP-GE-S transceiver provides a high performance and cost-effective small form factor pluggable module for 1000BASE-SX Gigabit Ethernet and 1G Fibre Channel application. It’s designed for short wavelength applications. The max distance for this transceiver module is 550 meters. Besides, it also supports DOM. From the above Cisco transceiver datasheet, we have learned that these Cisco transceiver modules share many similarities. All of them can support up to 550 meters over multimode fibres. 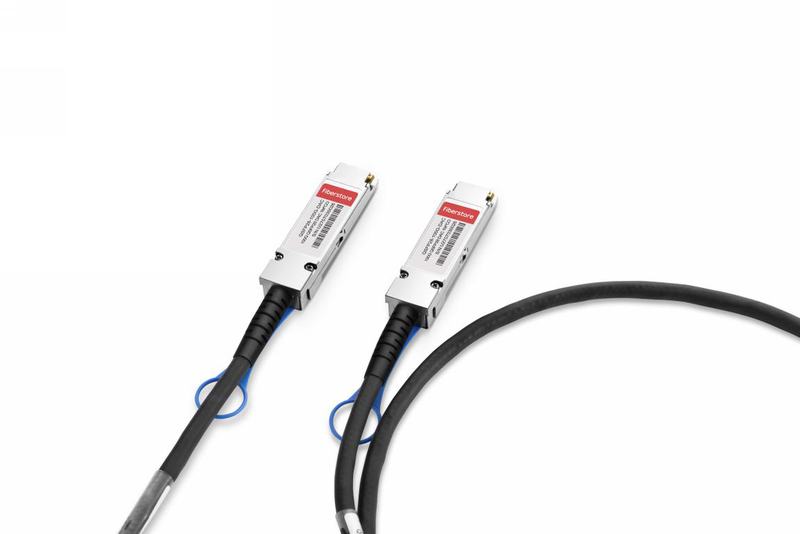 And they are designed with the same 850m wavelength, Tx power and LC duplex interface. The main difference is the DOM (Digital Optical Monitoring) function and operating temperature. Except GLC-SX-MM, all the others support DOM. With this function, users can monitor the transceiver module’s parameters in real time like optical input and output power, temperature and so on. GLC-SX-MM, GLC-SX-MMD and SFP-GE-S can work at the same temperature ranging from 0 to 70°C. But GLC-SX-MM-RGD SFP transceiver can work in a wider operating temperature of -40 to 85°, which is especially suitable for industrial Ethernet switches. According to the above discussion, we can say GLC-SX-MM, GLC-SX-MMD, GLC-SX-MM-RGD and SFP-GE-S transceivers share many similarities. However, please note that the differences still exist, and ensure the transceiver module you choose will be compatible with the existing networking equipment. FS.COM is the one-stop shop to help you get these Cisco transceivers and other networking products that are compatible with the Cisco transceivers. If you have any questions in buying guide, please contact us via sales@fs.com. 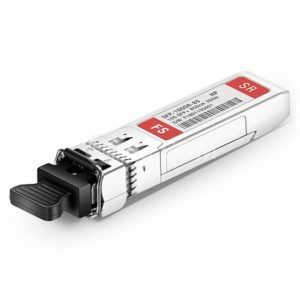 This entry was posted in Fiber Optic Transceivers and tagged Cisco transceiver datasheet, GLC-SX-MM, GLC-SX-MM-RGD, GLC-SX-MMD, SFP transceiver, SFP-GE-S, transceiver module on September 13, 2018 by Sinead.Zhang. SFP stands for small form factor pluggable. Copper SFP transceiver is a hot-pluggable transceiver with RJ45 port, so it’s also called SFP RJ45 transceiver. 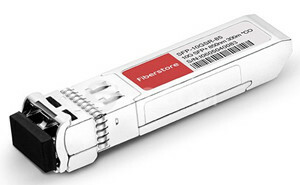 SFP RJ45 transceiver supports 10/100/1000 BASE rate over Cat5 cables. In addition, RJ45 copper transceiver is usually used for transmitting data in a short distance, due to its transmission distance ranging from 10 to 30 metres or from 80 to 100 metres. And Cisco 1G SFP, copper and RJ45 Ethernet cables are much cheaper than the fibre ones, so it’s wise to choose a copper SFP transceiver to make use of the existing cabling system to optimise your network instead of using the fibre cables. This GLC-T transceiver is a typical RJ45 transceiver, which is used for Cat5 wiring. The max data rate is 1000Mbps and the max cable distance is 100 metres, which is suitable to connect different switches or routers in a data centre. It’s compatible with most Cisco switches and some FS switches like S5800-48F4S Gigabit SFP switch. 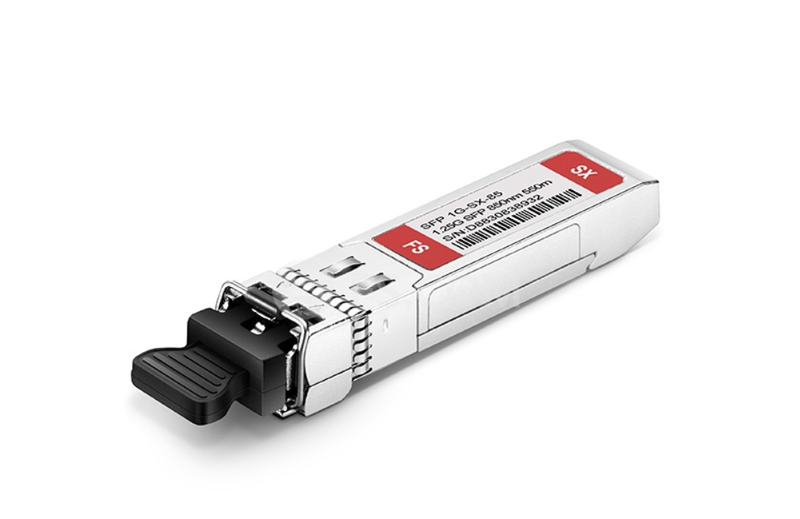 Similar with GLC-T SFP, but this copper transceiver supports 10/100/1000 auto negotiation. And the operating temperature is different. It is an extended temperature range from -5 to 85°C, while GLC-T is from 0 to 70°C. Furthermore, it also operates on standard Cat5 unshielded twisted-pair copper cabling of link lengths up to 100 metres. Besides Cisco switches, GLC-T and GLC-TA can also be used on FS.COM S5800-48F4S switch which is a 48 port SFP L2/L3 MPLS switch with 4 10G SFP+ ports. It is a very cost-effective solution for traditional or fully virtualised data centre. This entry was posted in SFP Transceiver and tagged Cisco SFP, Cisco SFP Compatibility Matrix, copper transceiver, transceiver module on August 30, 2018 by Sinead.Zhang. What Is QSFP56 and QSFP56-DD Transceiver Module? Optical transceiver is one of the most important elements in data centres. Currently, QSFP28 transceiver module is the leading product on the market that supports 40 and 100 Gigabit Ethernet application. However, the world is constantly changing and evolving, new applications such as 4K HD video, webcast, VR and cloud computing have driven a sharp growth of network traffic. Therefore, today, QSFP56 and QSFP56-DD are developed to provide 200G or 400G applications, in order to satisfy people’s higher transmission speed. In order to have a good understanding of QSFP56 and QSFP56-DD, we’d better know what QSFP is first. QSFP means Quad Small Form-Factor Pluggable, which is a compact, hot-pluggable transceiver. It’s an industry format that is developed and supported by many network component vendors, and it’s widely used to connect network switch, computer, server, video and some other communication systems. QSFP, QSFP56 and QSFP56-DD transceivers share the same package form, but their transmitting rates are different. This has lead to some other differences such as functions and applications, which will be explained in the following parts. What Is QSFP56 Transceiver Module? QSFP56 optical transceiver is the solution for 200G applications. It’s a pluggable transceiver module that has the same size as QSFP. However, this 200G transceiver can provide the top data rate of 50Gb/s of each channel. In addition, products of the transceiver will be compatible with previous QSFP standards. Therefore, the data centres are able to reuse and easily refresh their systems designs and cost in an effective way. 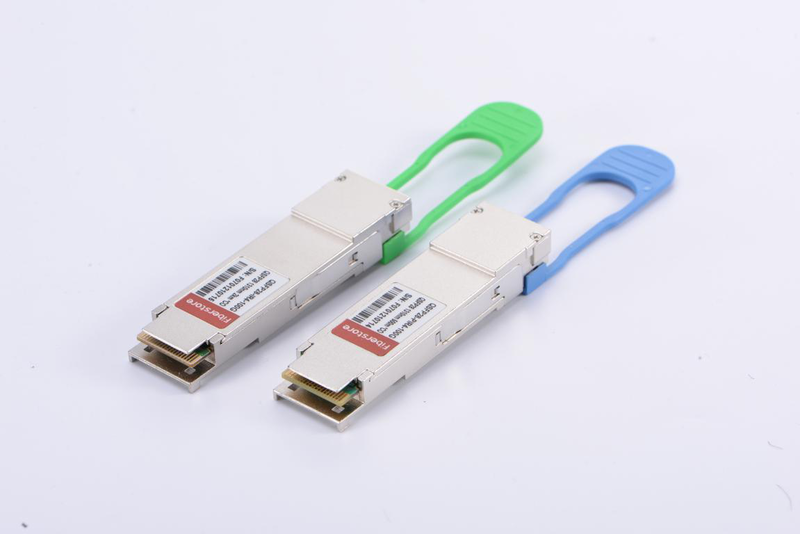 Communication specialists forecast that QSFP56 transceivers may accelerate the upgrade of the next generation network switches that the density of their front panel would be doubled, which will create more network throughput. 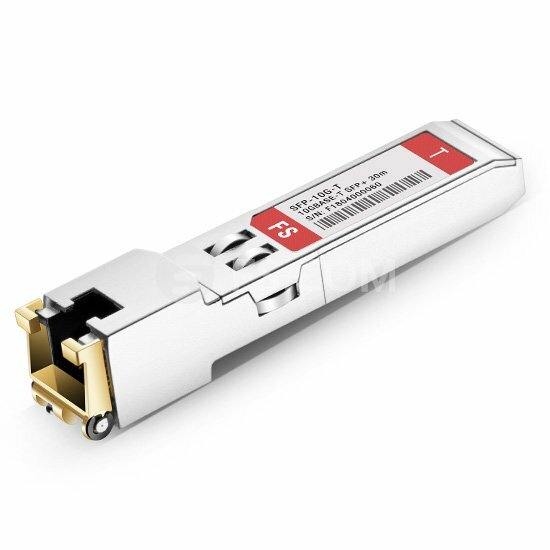 QSFP56 will be the most competitive product due to its powerful processing capacity. What Is QSFP56-DD Transceiver Module? QSFP56-DD refers to a double-density QSFP optical transceiver that supports 200Gbps and 400Gbps Ethernet applications. It’s designed to employ eight lanes that operate up to 25Gb/s NRZ modulation or 50Gb/s PAM4 modulation. This means the new 400Gbps optical transceiver will increase the bandwidth and panel density by several times compared to the similarly sized QSFP transceivers. It’s based on the widely applied QSFP interconnection system, which is particularly suitable in data centres and HPC centres. 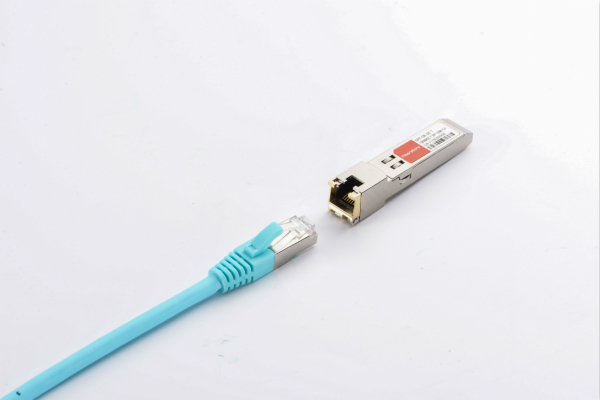 In addition, this transceiver provides backward compatibility to lower-speed QSFP forms, so that when the technicians need to upgrade their networks to a higher speed, they could continue to use the other existing cabling infrastructure. Traffic growth for data centres operators and service suppliers requires the adoption of 200G and 400G optical interfaces in the next generation of network devices. QSFP56 and QSFP56-DD transceiver modules are the best innovations to support customers with high speed and reliable connections. 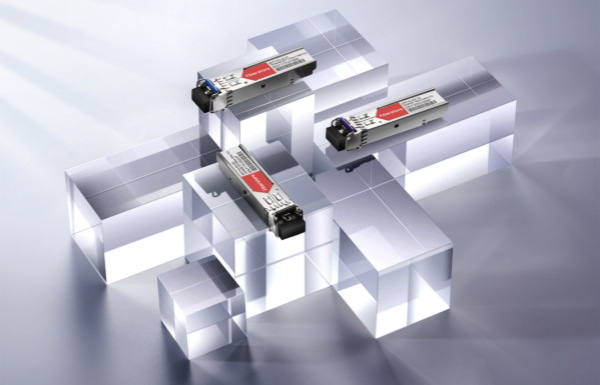 With these optical transceivers, technicians are able to achieve a breakthrough in network transmitting capability. We believe that the applications of QSFP56 and QSFP56-DD are the general trend in the future. This entry was posted in Fiber Optic Transceivers and tagged QSFF28, QSFP56, QSFP56-DD, transceiver module on August 24, 2018 by Sinead.Zhang.